De La Soul’s seventh album. Release date: October 5, 2004. The Grind Date is the seventh album from De La Soul, released on October 5, 2004. The album was originally intended to be the final album of the Art Official Intelligence (AOI) trilogy, but as the album quickly changed focus, the group decided to put AOI III on hold and finish The Grind Date as a stand-alone work. 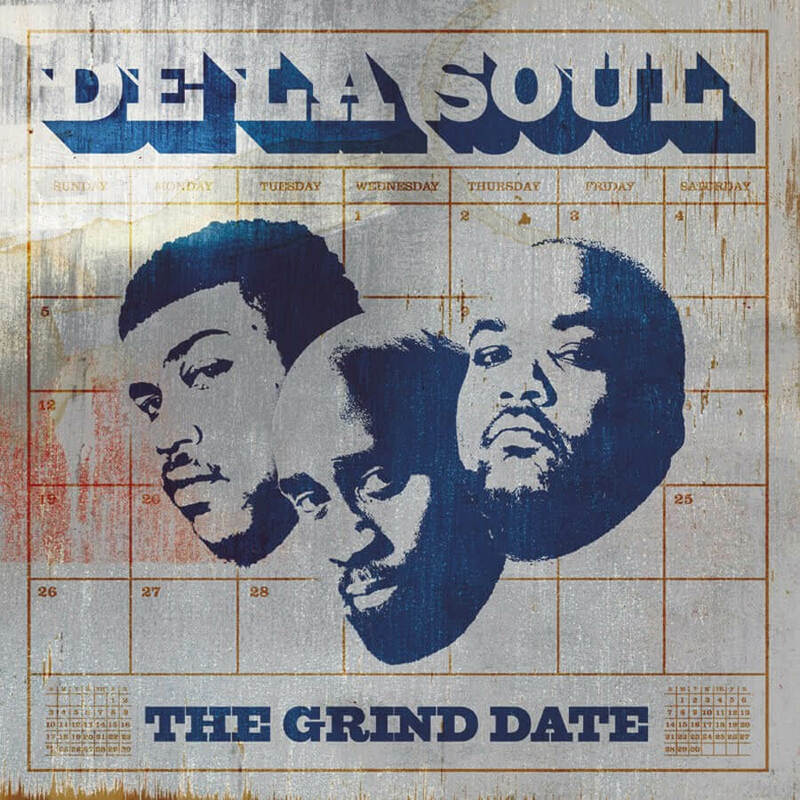 The Grind Date is a notably brisker, and leaner work than the group’s previous albums, and features a top of the line array of production talents including the late J Dilla (who was part of A Tribe Called Quest’s production unit, The Ummah), Madlib (“Shopping Bags (She Got From You)”), and 9th Wonder (“Church”). Producer Supa Dave West, who handled the majority of the AOI albums, also contributes five tracks to the album. “Rock Co.Kane Flow” featuring MF DOOM, was produced by Jake One, and sees Posdnuos addressing some recent trends in Hip hop with the line “Unlike them, we craft gems / so systematically inclined to pen lines / without sayin a producer’s name, all over the track”. The well-received collaboration also brought attention to the then-unknown Jake One.